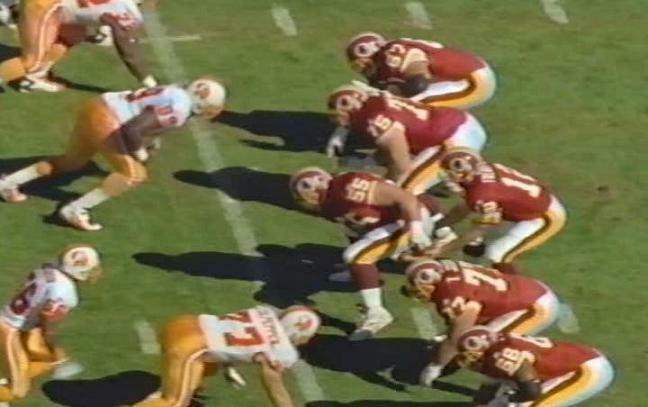 BUCS: Rhett 28-97, Alstott 8-67, Dilfer 4-27, Brooks 3-10, Ellison 2-8. REDSKINS: Allen 14-36, Mitchell 2-5. 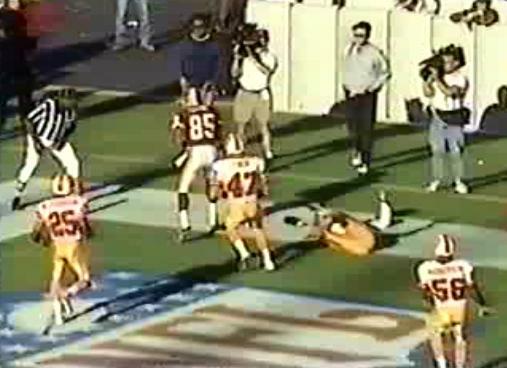 BUCS: Alstott 3-24, Ellison 2-30, Hawkins 1-33, Harris 1-22, Moore 1-3. REDSKINS: Ellard 5-93, Brooks 5-54, Asher 5-31, Mitchell 3-29, Allen 2-12. REDSKINS: Mitchell 4-66, Bell 1-3. BUCS: Nickerson 1-7, Curry 1-6. 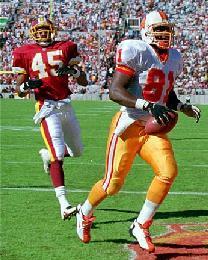 REDSKINS: Owens 2-11, Harvey 1-9. Displaying a consistency reflective of their stalwart Paul Gruber, who appeared in his team-record 133rd game in this contest, the Bucs dominated Washington en route to their fourth win in five weeks. 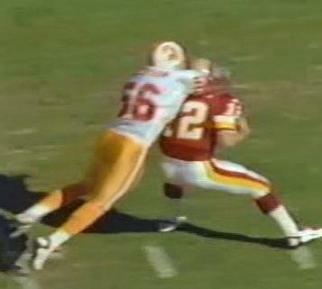 The defense set up Tampa Bay’s first score, as Martin Mayhew’s interception of a Gus Frerotte pass stationed the Bucs at Washington’s 39. The Bucs broke it wide open in the third, scoring on their first two possessions. 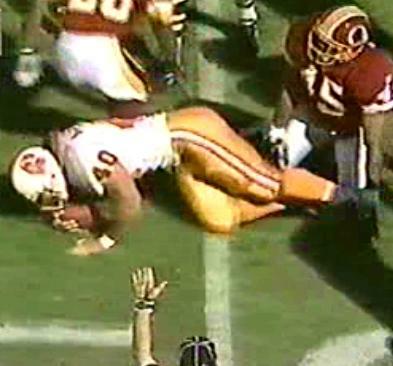 After a 19-yard Husted chip shot, Mike Alstott powered a 67-yard drive by handling the ball on five of nine plays, the last a 13-yard blast around Gruber’s end for a touchdown.